Every business carries out marketing strategies to increase the sale of the products. Online businesses make use of content marketing techniques so as to make sure that their content reaches the maximum number of users at any point of time. Apart from the marketing angle, content is considered to be the best way to deliver the right information to the targeted audience. 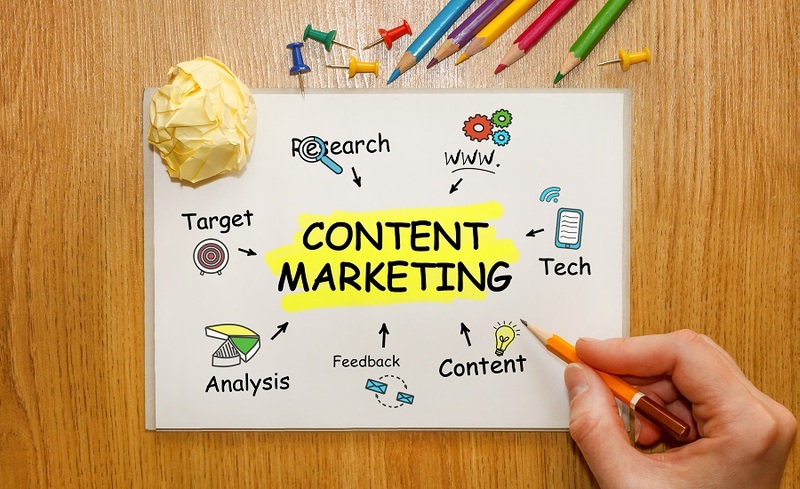 Simply having a basic idea about content marketing is not enough for marketers, rather they should have the ability to develop new ideas and strategies that can help them market the contents the best way. When it comes to any business, the success of content marketing solely depends on the innovative strategies you apply. So for the same reason, you need to develop right strategies that can promote your content on the digital world. Content marketing is really the need of the hour not just for big companies but, for the budding firms too. Therefore, you need the right plan to make profits. So try to inculcate these tried and tested strategies in your content marketing plan and use relevant content to project your brand. What is the content all about? What does it focus on? The writer should have clear answers for these questions to write effective contents. When it comes to content marketing, a profitable content can only be generated by defining the short-term and long-term goals. A proper understanding of the requirements and business goals can help to create the right kind of the content. Properly written content will attract more readers and eventually you will experience more traffic on the website. Don’t get confused between content marketing and promotional activity. They are both different from each other. Then again, it is a fact that people use content marketing to promote a brand. Make sure you develop an informative content that can relate with the audience rather than simply promoting the products and services. If your content is genuine with proper facts, your audience will definitely read it. So try to know what your existing customers require and focus on it. Content marketing is carried out by the companies to make profits. This strategy can even help the budding companies to grow. A proper understanding of the company is necessary to get the right output through content marketing. Dig into the history of the company and promote the products/services in an effective manner. A proper understanding of the company’s image can help the writer to come up with effective contents. One of the important content marketing strategies is to know your target audience. Then you need to create relevant content keeping your audience in mind which can easily relate with them. Quality content written by keeping the audience in mind is what contributes to the growth of the business. It requires little research work to know your customers’ preferences. All the businesses are trying to succeed using the content marketing strategies and so coming up with innovative ideas is important. With a good number of competitors out there, it is a tough job. So it becomes necessary to update yourself with the new trends in the market. Know what is hot in the market and try to cover those topics in the form of best contents for the audience. We all have developed some contents that has managed to get some good comments and share but what happens after some time? They take a back seat in the blog archive. So the best way to make use of them is to bring them back to life with some current updates. Working with the old posts will also help to boost the SEO rankings. We all know that pictures and visuals convey the message better than words. So make enough space for them in your contents. Having visuals will help you to attract more audience and improve content visibility on the search engines. The contents which gain attention help the business to get more sales. So keep these points in mind to grow your business using the right words. Content marketing, when done properly, can easily attract more audience and bring in more sales.